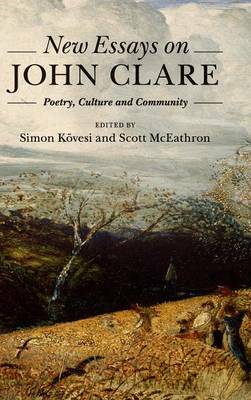 John Clare (1793-1864) has long been recognized as one of England's foremost poets of nature, landscape and rural life. Scholars and general readers alike regard his tremendous creative output as a testament to a probing and powerful intellect. Clare was that rare amalgam ‒ a poet who wrote from a working-class, impoverished background, who was steeped in folk and ballad culture, and who yet, against all social expectations and prejudices, read and wrote himself into a grand literary tradition. All the while he maintained a determined sense of his own commitments to the poor, to natural history and to the local. Through the diverse approaches of ten scholars, this collection shows how Clare's many angles of critical vision illuminate current understandings of environmental ethics, aesthetics, Romantic and Victorian literary history, and the nature of work.